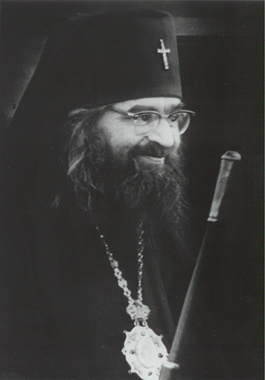 The purpose of this course, entitled, "The Path to Sainthood: Living in the Other World, is to implement a curriculum whereby the Orthodox Christian can properly live out his sanctification by constantly setting his sights heavenward. This idea is born from the inspiring words of Saint John Maximovitch who once said, "All of our sanctity is based upon having one's feet straight on the ground, and, while being on the earth, constantly having the mind lifted upward." This course will consist of one lecture a month for six months and will then conclude with a two-day spiritual retreat to be held at Antiochian Village for those that attended the lectures. The first lecture will feature the strict contrast between the essentials of Orthodoxy with the abnormalities of the modern world, and how we are commissioned by Christ to live out those Orthodox values in spite of a world that tries to usurp them. 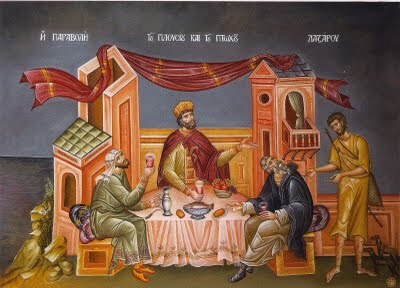 A great gulf subsists between the life of the Orthodox Christian and post-modern man, and yet they both cohabit the earth. One might ask how is this possible? The answer is quite clear. As we shall see, the two live on completely different planes. 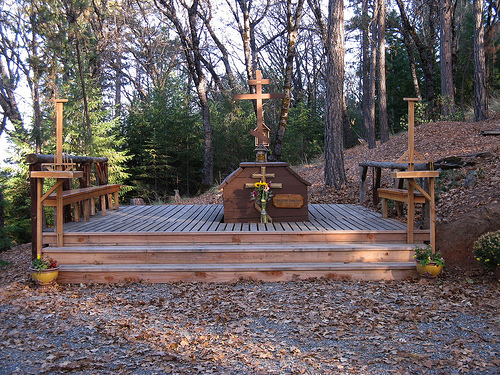 The post-modern man lives his life set on a horizontal plane (on level with humanity) that usually fails to deviate from its course and it continues on such a course (which can only lead to destruction) until his death, while the Orthodox Christian (if he truly strives to live out his faith in all that he does) lives on a vertical plane (on level with the divine) with the attempt of, as Father James has mentioned, "transfiguring the horizontal and redeeming human relationship and the created order by way of God's grace and charity". 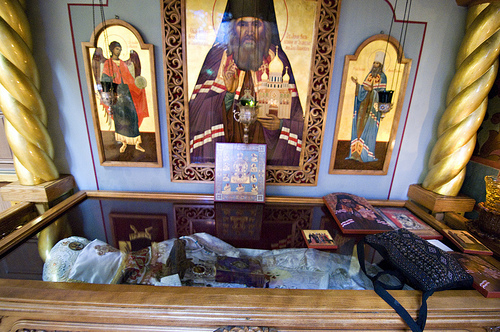 The Orthodox Christian sets his sights on eternity. This is what is meant by constantly having the mind lifted upward, living in the other world which Christ has prepared for us. 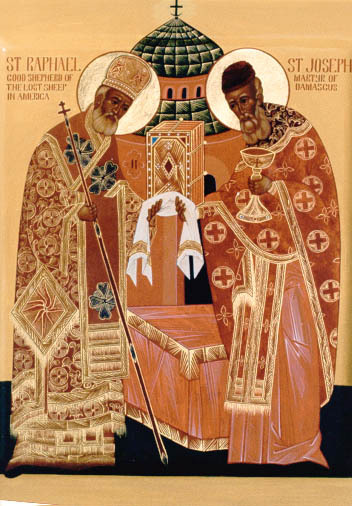 The following sequence of lectures will then showcase a particular saint or saints who never lost sight of that heavenly mindset and who have fervently submitted themselves to Christ and struggled daily to fully embody and embrace the Orthodox life. This course is dedicated to their memory as well as each and every saint who has, is and will forsake all and follow Christ. Please click on the highlighted red audio link under each Saint to listen to the corresponding lecture. Holy Joseph of Damascus and Raphael pray for us! 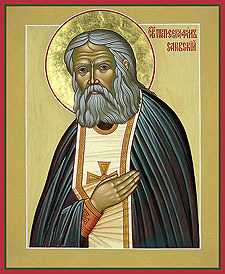 Saint Seraphim has promised to intercede for those who pray for his parents Isidore and Agathia. 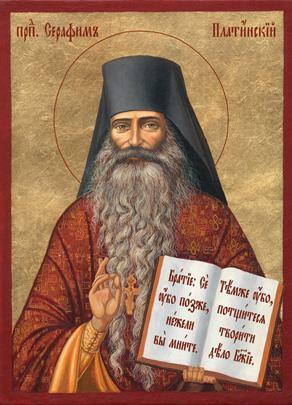 Holy Seraphim, supreme example of holiness and inner quietness, enlightener of souls, pray for us!